The Denver Nuggets acquired guard D.J. Augustin from the Oklahoma City Thunder at this year’s trade deadline in a deal for Randy Foye. 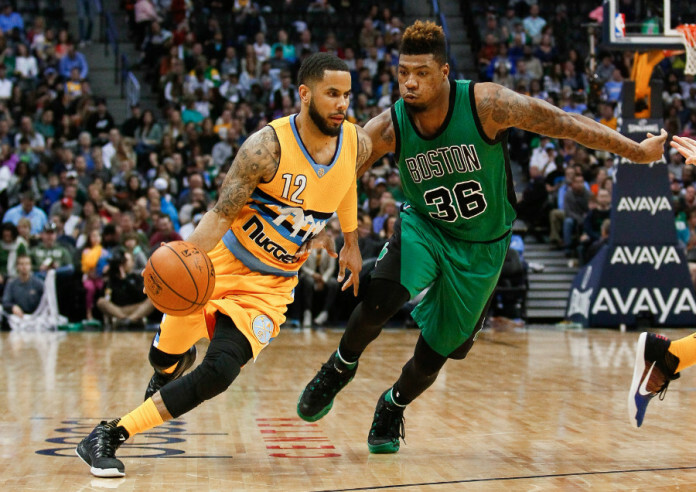 Augustin, 28, has played solid in his first two games as a Nugget and has made an impact on the court. Augustin is averaging 16.5 points, 5.0 assists and 1.5 steals in 24.5 minutes. While it has only been two games, Augustin looks to be a solid addition to the Nuggets thus far. 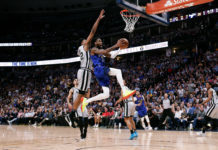 Coach Michael Malone said prior to Sunday’s game that the team would keep it simple with Augustin when he was on the floor, though he did feel Augustin was capable enough to make things work on such short notice. 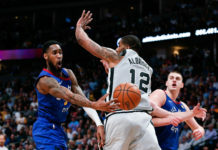 The important thing was to keep Augustin in his comfort zone while he learned and became comfortable with Denver’s plays. And based off those numbers he’s putting up, it looks as if comfortable is exactly what he is. Agustin will primarily serve as the backup point guard to Emmanuel Mudiay for the remainder of the season. Augustin, though, is a seasoned NBA player that brings both solid play and mentorship-ability to a young Nuggets roster. Coach Malone realizes that. “He can run your team offensively, can make shots and play pick and roll.” Malone said after the team’s game Friday. A free agent at the end of the season, Augustin is beginning a 26-game tryout with the Denver Nuggets. 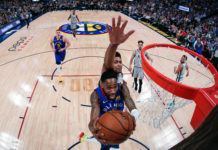 If he plays well, and he’s shown he’s capable of doing just that in the past, then general manager Tim Connelly could look to bring the veteran point guard back into the fold next season. And if that doesn’t work, at least Augustin should get the type of minutes that will allow him to audition for another NBA franchise.